Feeling... terrible. I've had this horrible stomach pain since Monday night and it isn't going away. 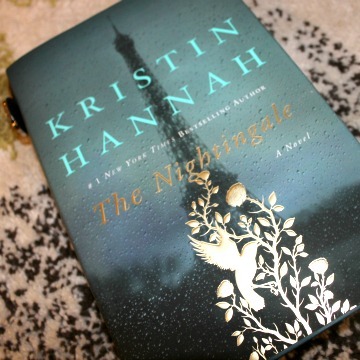 Reading..."The Nightingale" by Kristin Hannah. I feel like it just started getting good about 250 pages in...and then something happened and I was like UGH. 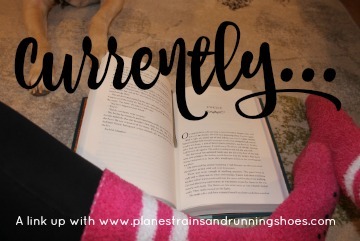 I think I'm in the minority in how I feel about this book. Watching... "Mozart in the Jungle", "Downton Abbey," and "Happy Endings." I started streaming "Happy Endings" on Tuesday when I was home sick and then stopped 4 episodes in because I realized The Pilot would love it. Thinking about... whether my weekend plans are still going to stand with me not feeling well. Needing... to start feeling better so I can run some miles! Wanting... winter to be over. Annoyed by... people who ask me if I'm pregnant, especially when it's completely out of the blue. This question is never appropriate. Loving... all of the new recipes I've been trying to find some new staples so I've been trying a new recipe almost every night for the last two weeks and everything is so good! I might have to do a round-up pot to share them all!